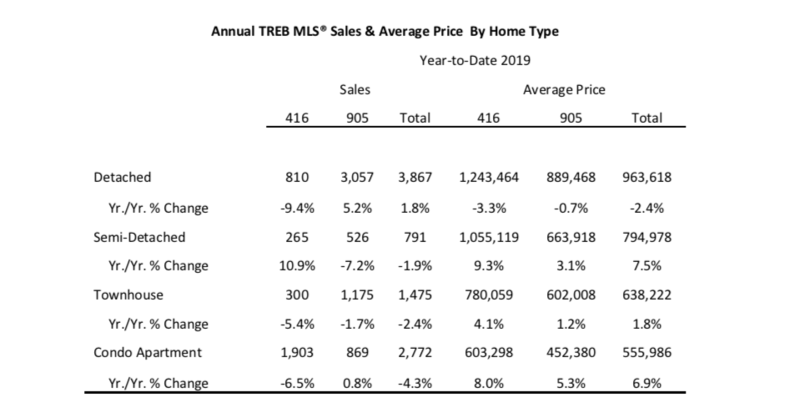 TORONTO, ONTARIO, March 5, 2019 – Toronto Real Estate Board President Gurcharan (Garry) Bhaura announced that Greater Toronto Area REALTORS® reported 5,025 homes sold through TREB’s MLS® System in February 2019. This sales total was down by 2.4 per cent on a year-over- year basis. 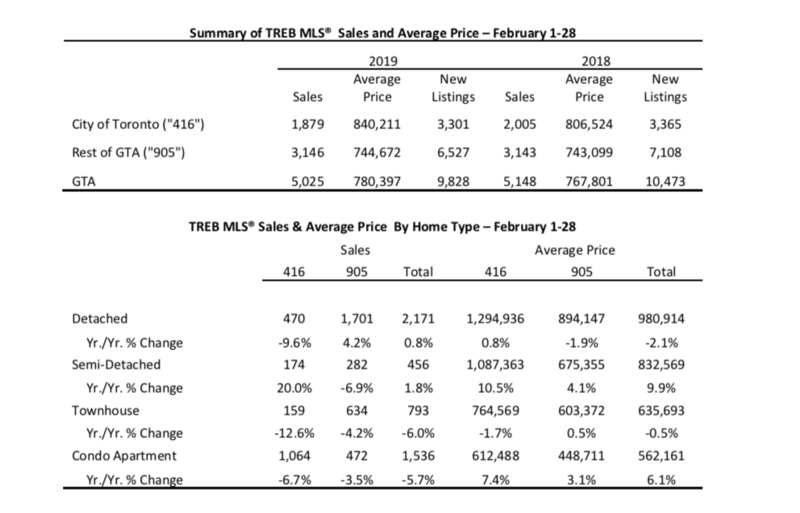 Sales were also down compared to January 2019 following preliminary seasonal adjustment. 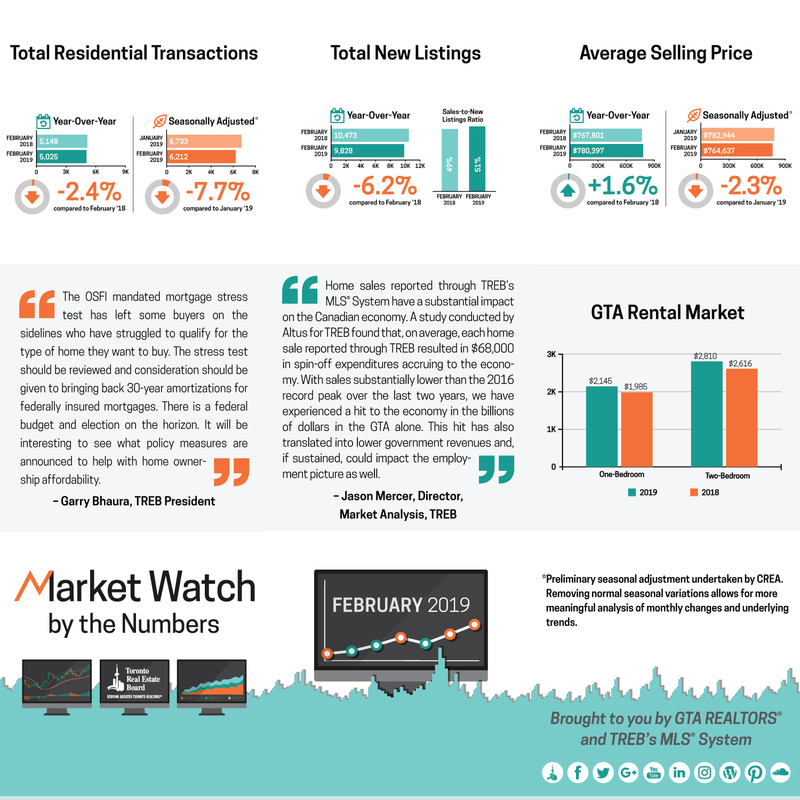 The rental market continued to operate in a high demand, low inventory environment during the first two months of 2019. 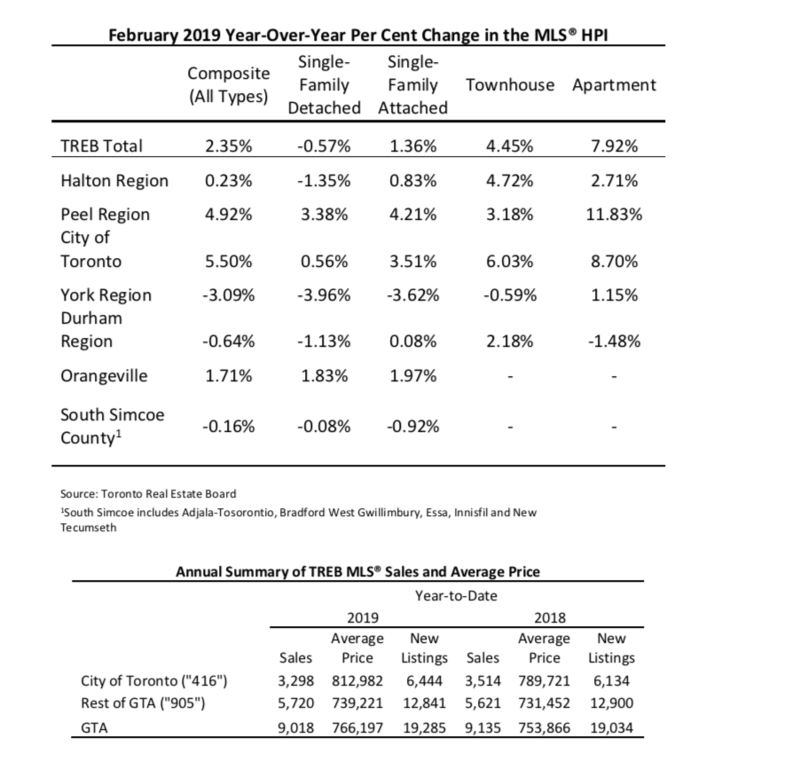 Strong competition between renters resulted in average rents for one- bedroom and two-bedroom apartments leased through TREB’s MLS® System increasing well- above the rate of inflation on a year-over-year basis for the January-February period. The average one-bedroom rent was up by 8.1 per cent to $2,145. The average two-bedroom rent was up by 7.4 per cent to $2,810. “With vacancy rates hovering in the one per cent range and average rents increasing in the high single digits, it is clear that signing a lease for a rental unit is not an easy proposition in the GTA. While some rent control provisions have been relaxed by the new provincial government, policy makers need to look at further initiatives to encourage rather than discourage investment in rental apartments. A recent Ipsos survey conducted for TREB found that almost one-quarter of investment property owners are very likely to list their property for sale this year, which is concerning in an already tight rental market,” said TREB CEO John DiMichele. 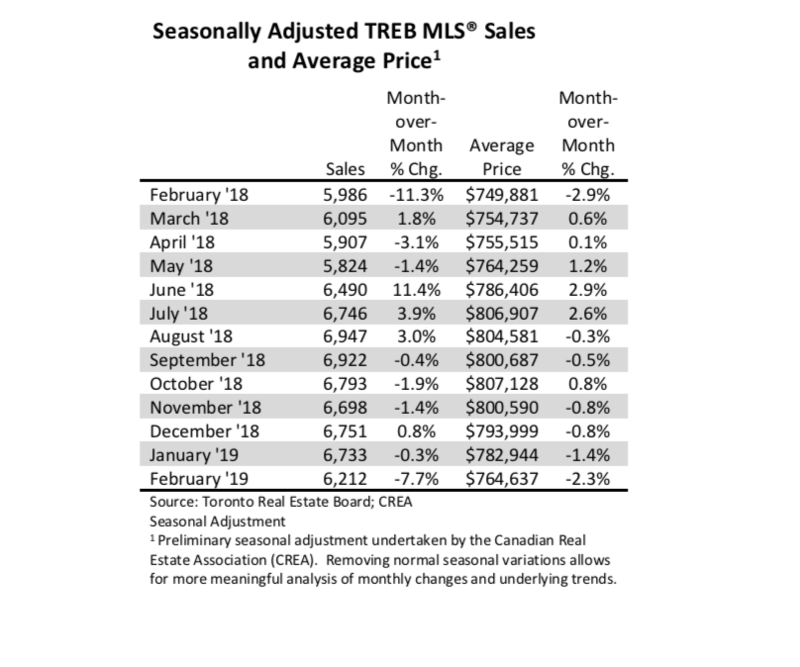 The post TREB Releases February Resale Market Figures appeared first on TREB Wire .